Another artist who inspires me. 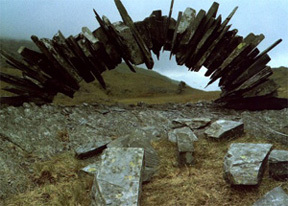 Andy Goldsworthy. Balance, tension, natural matials, pattern, repitition. I can look at his work all day. Posted on January 16, 2013 by carolnesper. This entry was posted in Andy Goldsworthy, Artwork and tagged Andy Goldsworthy, English art, Goldsworthy, nature art, stone sculpture. Bookmark the permalink. I could just try to pronounce his locations all day. Andy Goldsworthy is indeed spectacular.